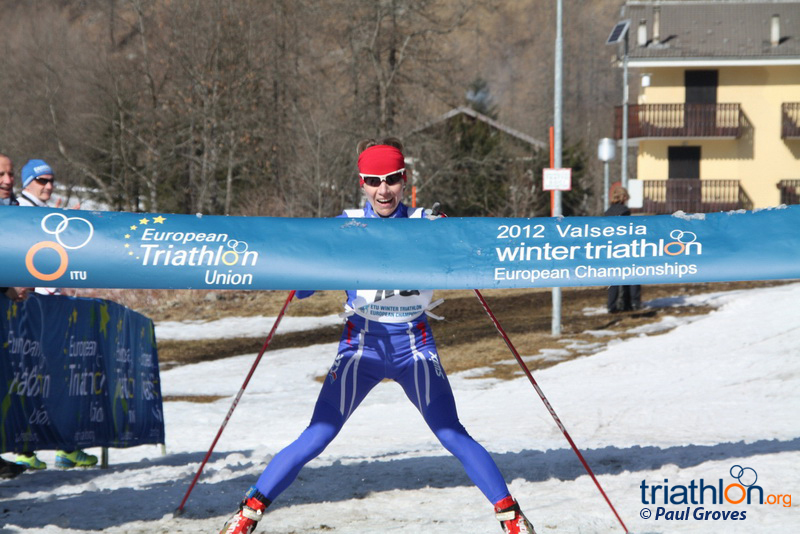 Sweden’s Andreas Svanebo claimed his fourth European Championship title at the 2012 Valsesia ETU Winter Triathlon European Championships. 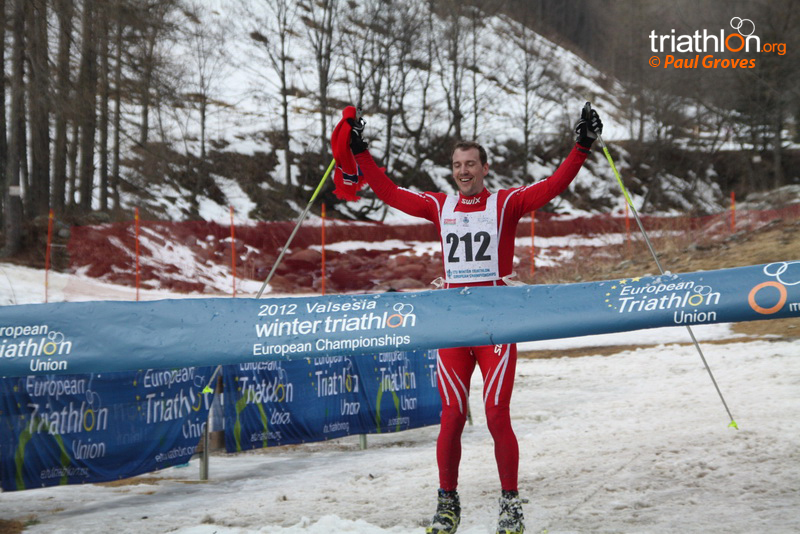 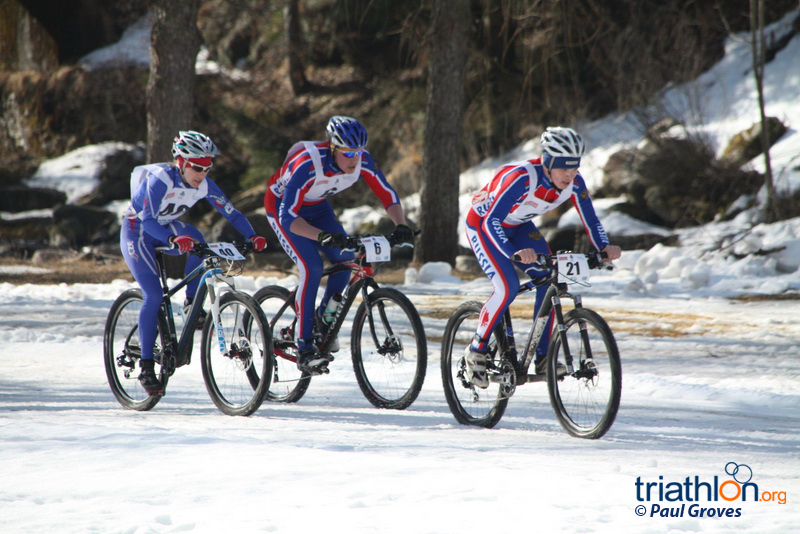 The victory is all the more sweeter following a spate of missed races in the winter triathlon series due to injury. 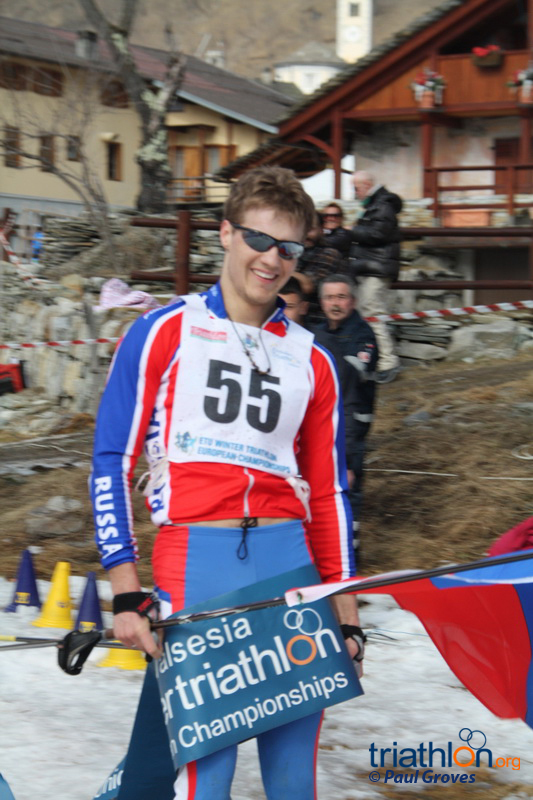 Svanebo finished in a time of 1:20:47 ahead of Italy’s Daniel Antonioli and Nicolas Lebrun of France. 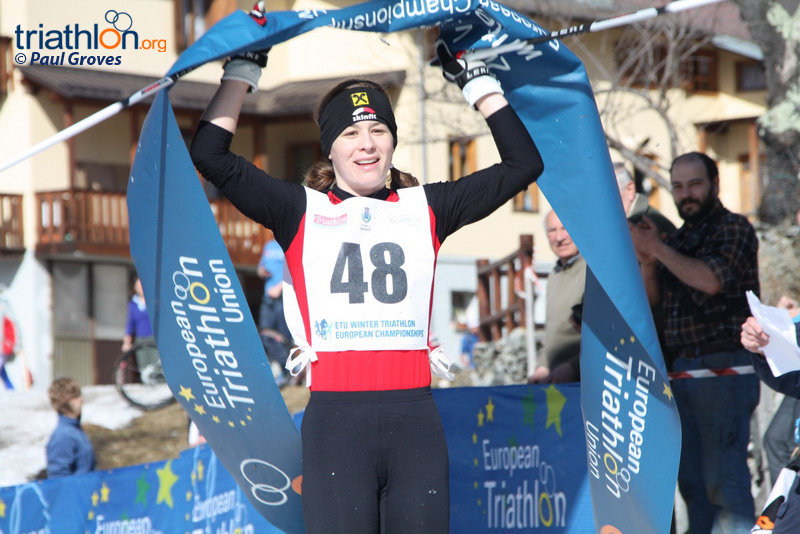 There was a surprise winner in the elite women’s race as Helena Erbenova of the Czech Republic claimed the European Championship title in her maiden race. 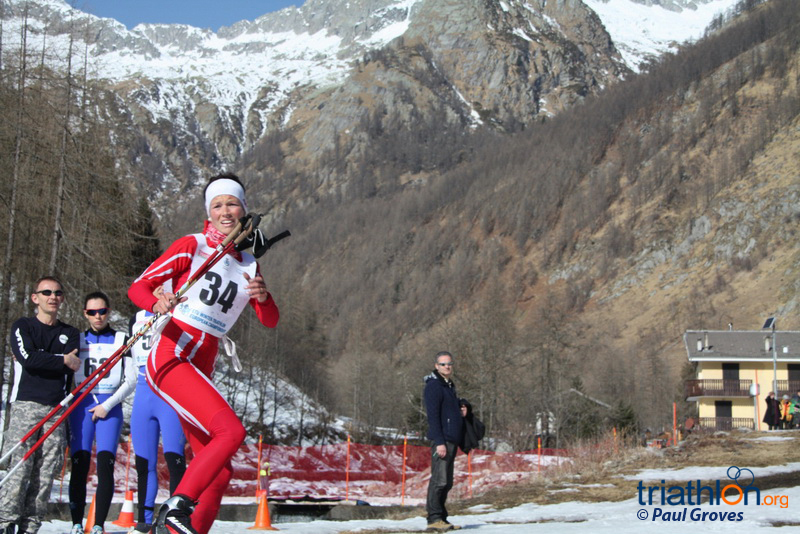 Erbenova finished in 1:37:55 ahead of defending champion Borghild Løvset (NOR) and Andrea Huser (SUI). 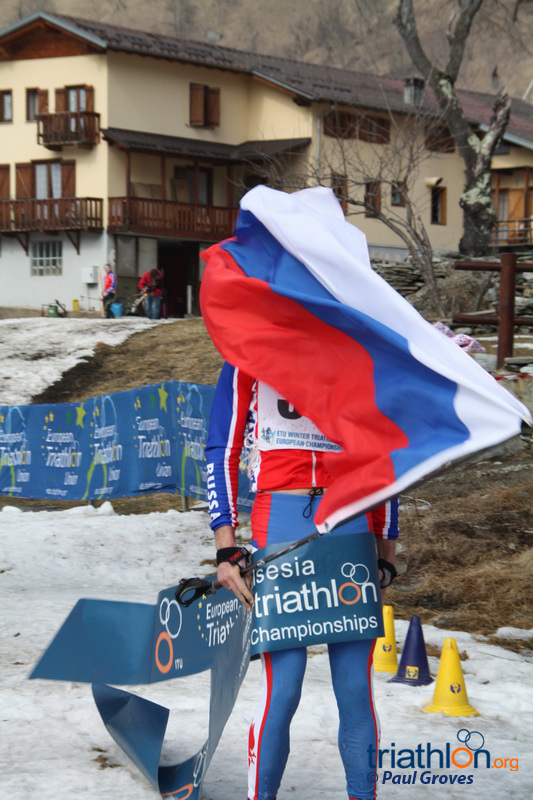 Russian Pavel Yakimov was victorious in the U23 men’s race and Romana Slavinec of Austria is the new U23 Women Winter Triathlon European Champion. 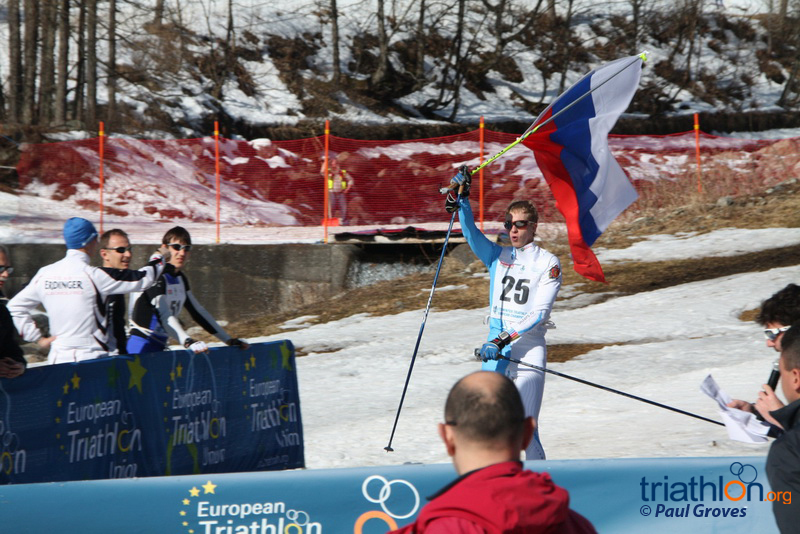 There was double Russian success in the junior races as Pavel Eliseev and Tatiana Loginova secured the Junior Winter Triathlon European Championship titles. 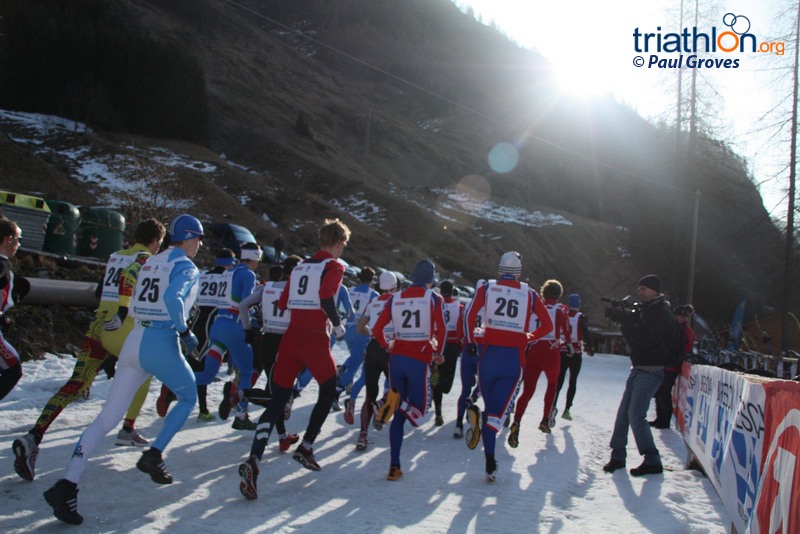 The final day saw the age group athletes take to the course as well as the excitement of the mixed relay. 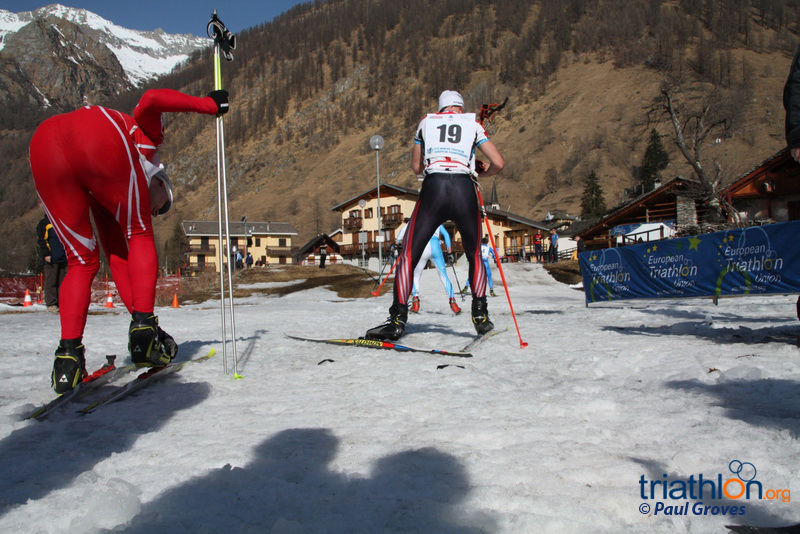 Team Norway achieved top honours with Russia less than a minute behind to take silver. 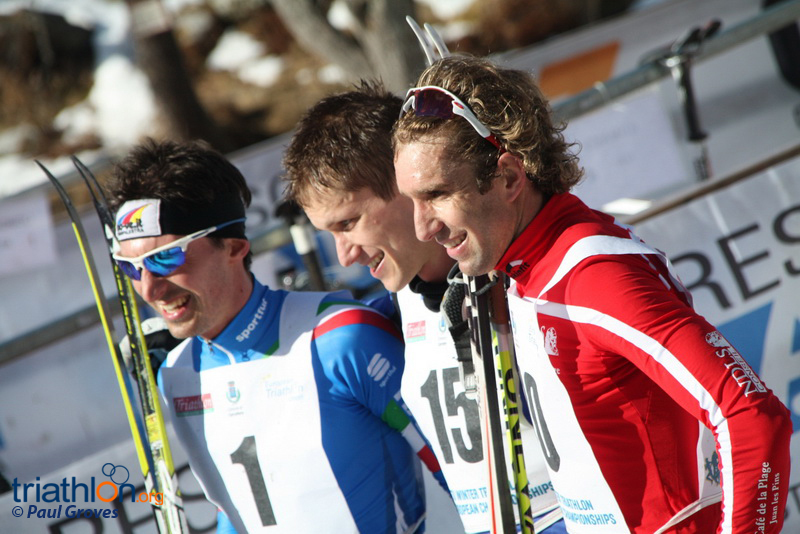 Team Austria was close behind for bronze. 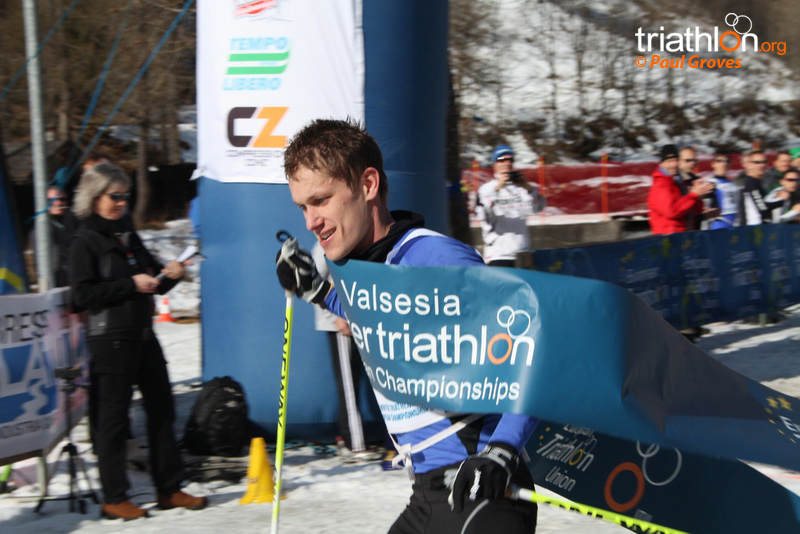 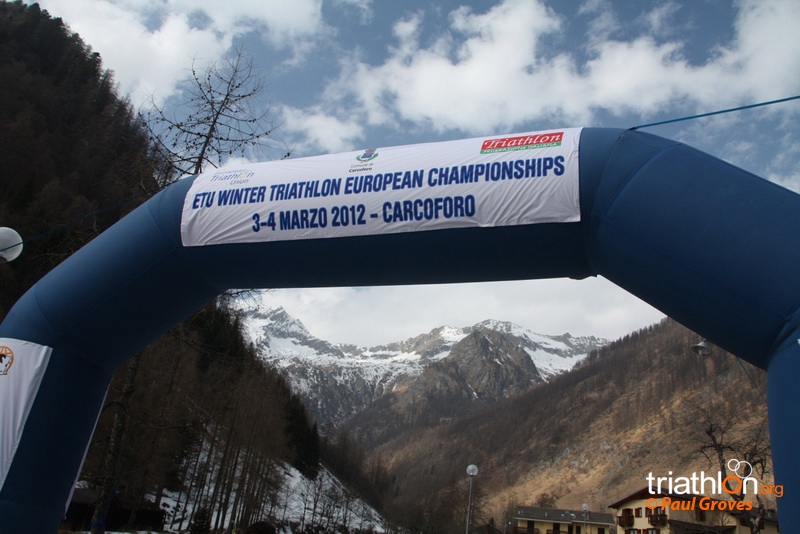 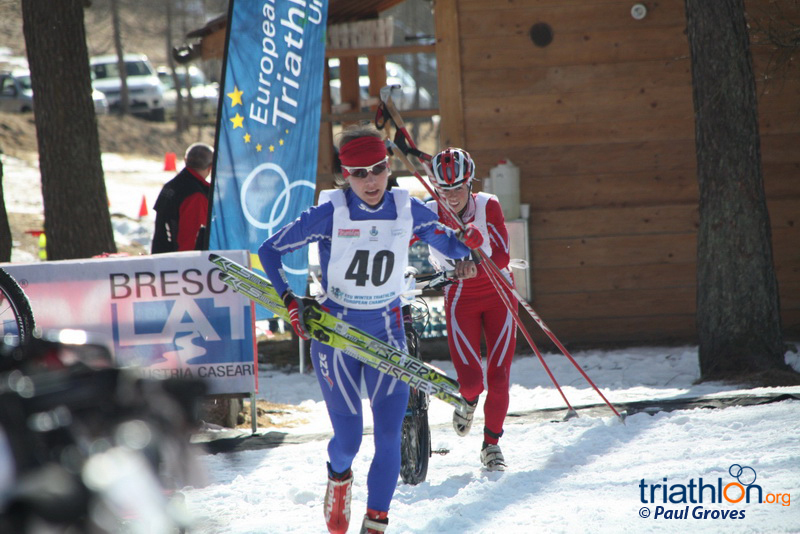 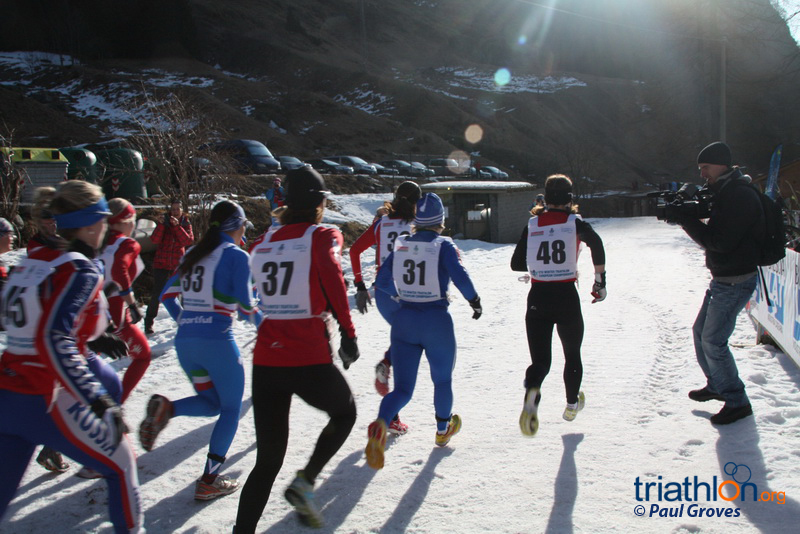 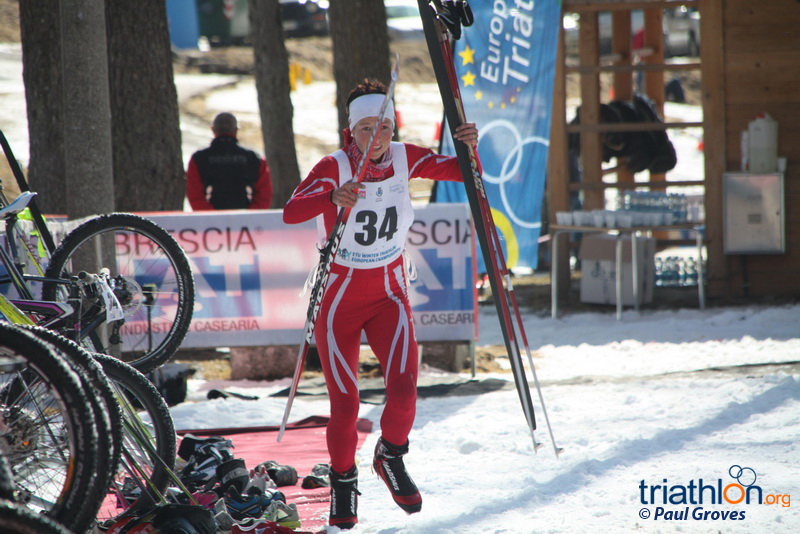 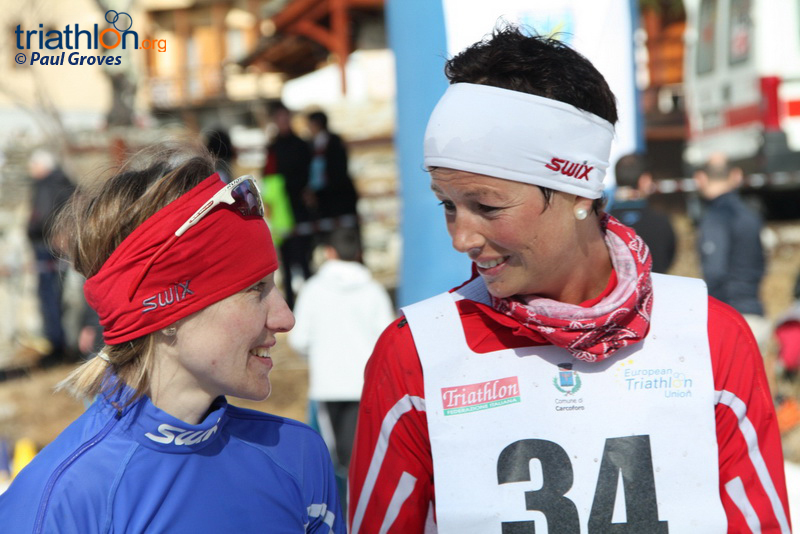 A host of Winter Triathlon stars, including European and world champions, are in Italy this weekend to decide who is the best in Europe at the 2012 Valsesia ETU Winter Triathlon European Championships.